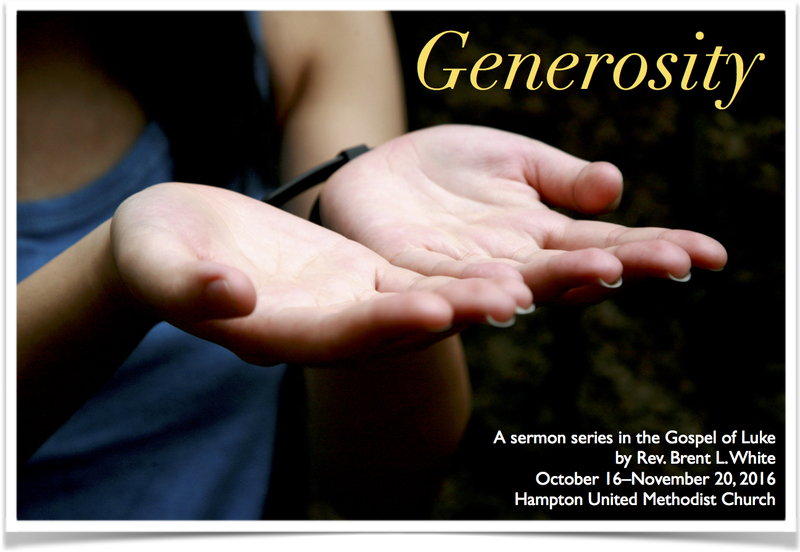 The following is the sermon I delivered on our church’s annual Stewardship Commitment Sunday. 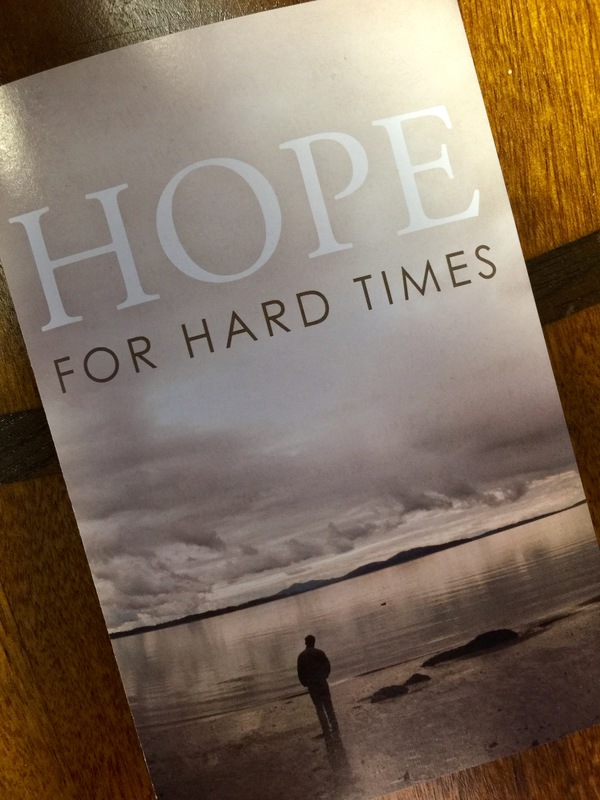 In it, I challenge the church to give a tithe, ten percent of our income. This is by far the most explicit appeal I’ve ever made for tithing. If we understand that the most important mission of our church is to save people from hell, and the money we give is used by God to support that mission, how can we not be generous? Besides, as I argue in this sermon, our money isn’t our own to do with as we please: it comes from God and belongs to God. 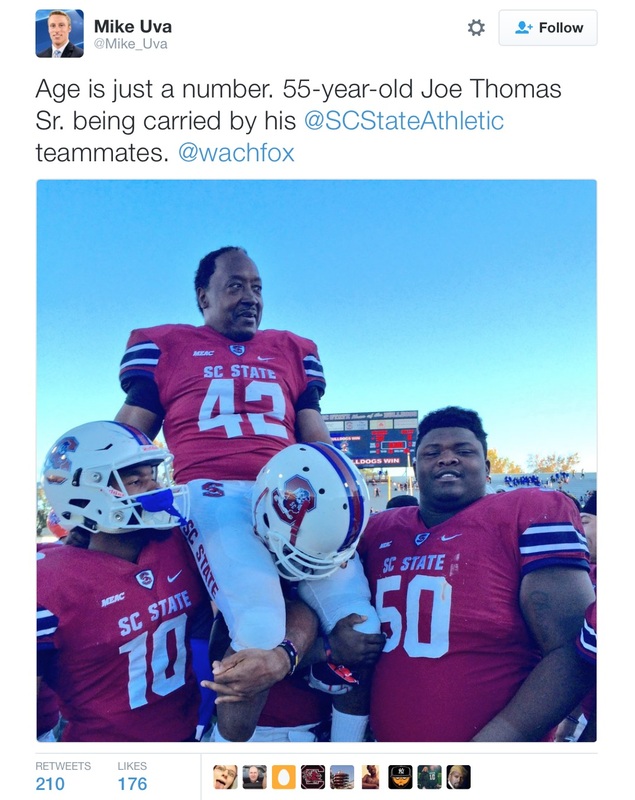 Yesterday, Joe Thomas Sr., a running back for South Carolina State University, set a new NCAA record for Division I football with his performance. He rushed—are you ready for this? He rushed for three… yards against Savannah State University, on his only carry of the day. It doesn’t seem like three yards should be such a big deal, much less a new college football record. But it was. And when I read about it yesterday, his great accomplishment made me want to cry. Why? Because Joe Thomas Sr. is 55 years old! Fifty-five! How could that not bring a tear to my eye! He gives me hope! It means I still have nine years to get ready and get in shape and get on the field! Joe Sr. has been on the team for the past four years—at least on the practice squad. A part of that time included playing—or at least practicing—alongside his son, Joe Thomas Jr., who now plays for the Green Bay Packers. But Joe Sr. himself had never realized his dream of playing big-boy college football in an actual game—until yesterday. Which was literally his last opportunity. It was senior day, the last game of the season. And Joe Sr. is also, well, a senior, graduating soon with an engineering degree. I read the article about him last week, which discussed how badly he wanted to play in a game—to earn his varsity letter, to make history as the oldest player. It seemed unlikely. 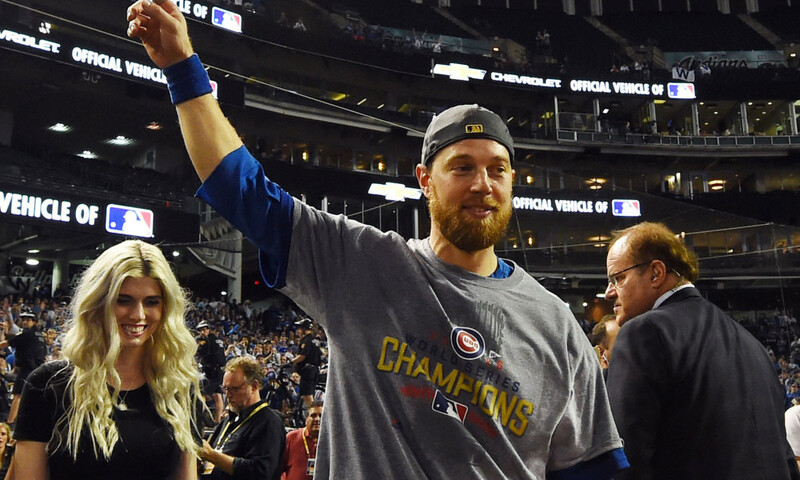 His coaches didn’t think it would happen. This was his last chance. Time was running out. Time was running out… That’s a theme in today’s scripture. To these examples of unmet expectations that turn to resentment, we can add plenty more. I myself have been, at times, a raging cauldron of resentment—whose culprit, I now see, was an unmet expectation, a sense that life wasn’t going the way it ought to go; that life wasn’t fair; that I wasn’t getting what I “deserved.” Worse, I felt as if other people were getting something I wanted, which they didn’t deserve. Last week, I wondered aloud how we can “enjoy God forever,” as the first article of the Westminster Shorter Catechism says. One way, surely, is to surrender to God our expectations: If I recognize I have no right to anything good, I can receive the good that comes my way as nothing but pure gift. Wouldn’t that be something? Don’t you want to live that way? Wouldn’t you be happier if you could live that way? There’s probably a Thanksgiving message in there somewhere. † David Zahl, “November 22” in The Mockingbird Devotional (Charlottesville, VA: Mockingbird, 2013), 388. 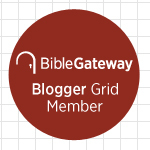 Wesley’s Revision of The Shorter Catechism, Part 3: How do we “enjoy God”? I attended Grace Evangelical Free Church in La Mirada. One of the pastors there is Erik Thoennes who is a Professor of Theology at Biola University. He is a very insightful theologian and a wise man. His text for his sermon was Hebrews 13:1, “Let brotherly love continue.” He gave a whole sermon on just those few words. The sermon was just filled with all sorts of nuggets of wisdom that I found very provocative and helpful. One of them was his criticism of the view that love doesn’t involve emotions. One will very frequently hear it said that love is not a feeling, love is a decision. This will often be said in marriage counseling situations, for example, where you may not feel love for your spouse anymore but you make a decision, “I will love her” (or “him”) and we will work through this problem. Kevin Harris: Make a commitment. Dr. Craig: Or with someone else that is particularly disagreeable – a boss or family member or even perhaps a persecutor. It is very often said that when we are commanded to love others – even love our enemy – that this is a decision. It is not some sort of emotional feeling. Thoennes was disagreeing with that, which has become I think sort of the conventional wisdom. He said this can lead to the attitude, “Well, I have to love you but I don’t have to like you.” So, you can regard other people in such a way that you don’t really have any affection or feeling for them, but you treat them in a loving way. He said that’s true – that with many people, we never can get past that point in our lives. There will be people for whom we never have the chance to really build an emotional bond of affection. Kevin Harris: But we love them anyway. Last Sunday’s sermon text was the story of the Rich Young Ruler in Luke 18:18-30. There, Jesus tells a wealthy young man to give away 100 percent of his money and wealth in order to be saved. Why does Jesus tell him to do this? Because Jesus understood that this man’s money was an idolatrous obstacle that prevented him from giving his heart to Jesus and following him as Lord. We can speculate why this was true: The man’s wealth gave his life meaning and purpose. It gave him his sense of self-worth. It probably made him feel loved, because as long as he had money, he was attractive to other people. So the Rich Young Ruler served money as a master—and as Jesus warns elsewhere, we can’t serve two masters, God and Mammon. We need to have a single-minded focus, instead, on loving and serving God alone. Obviously, everyone isn’t like this young man. Other people have other idolatrous obstacles that stand in the way of their relationship with Christ. Take, for example, the Samaritan woman at the well in John chapter 4: In effect, she asks Jesus what she must do to be saved. Yet Jesus doesn’t say, “Sell all of your possessions and give the money to the poor.” Why? Because her idol wasn’t wealth; it was relationships—romance, her love life. So unless or until she repented, she also wouldn’t be saved. Jesus’ command to give away everything, therefore, was specific to this particular man and may not apply to most of us. In the New Testament we have rich people whom Jesus doesn’t ask to give away everything—Joseph of Arimathea, for instance, who gives his tomb to the disciples to be used for Jesus’ burial. Luke’s gospel tells us that women of means were financially supporting Jesus and the disciples. The Book of Acts tells us about a faithful disciple named Lydia, a dealer in purple goods, who was rich. The problem isn’t wealth per se, and it may not be an idol for everyone—or at least it’s less of an idol than other things. In my own life, while I don’t deny that I sometimes have an idolatrous attachment to money and possessions, I also know that a bigger idol for me is my attachment to the praise of others. I want glory. Twenty years ago, my first job out of college was in sales. I was mentored by an older, well-seasoned, and successful salesperson named Alec. He told me more than once that money wasn’t a big motivator for his success: “I want recognition,” he said. Given my own modest commission checks at the time, I thought that was crazy. Now, however, I totally know what he means. Unfortunately. If the chief end of us human beings is to glorify God and enjoy him forever, I can do neither so long as I’m greedy for my own glory. This is why sanctification—our Methodist emphasis on holiness—can’t be optional. Sin stands in the way of the most important thing we do, the very reason we exist. That which obscures the glory of God in the world is sin; hence the chief end of man is to obtain deliverance from this malignant darkness of sin, which is infected by the poisonous breath of the adversary. The man who is cleansed by the blood of Christ from all inbred and actual sin is called in Scripture language… perfect or mature… This is the aim and consummation of all the purpose, counsel, covenants, decrees, election, and predestination of God. If the Shorter Catechism is freed from the encumbrance of the metaphysical theories of predestination that have clung to it, it will go straighter to its mark in directing man to his chief end: that holiness which glories God on earth, and enjoys him to all eternity. 1. John Wesley, Wesley’s Revision of the Shorter Catechism (Franklin, TN: Seedbed, 2016), 34-5. I wanted to include the following point in last Sunday’s sermon, but I ran out of time. The scripture, you may recall, included Luke 9:51-55. In this episode, Jesus and his disciples are passing through a Samaritan village on their way to Jerusalem. The Samaritans refuse to let them stay in their town. To their credit, James and John know that Jesus is much greater than Elijah. So why shouldn’t the fire of God’s judgment fall on these Samaritans who’ve rejected Jesus, just as it fell upon the enemies of Elijah? Regardless, as sensible as this suggestion may have seemed to the brothers, Jesus rebukes them. And their suggestion rightly offends us today. We hear this story and feel morally superior to James and John. After all, we would never want the fire of God’s judgment to come down and consume people who reject Jesus Christ. Right? Let’s not answer too quickly. After all, at this moment, there are tens of thousands of people within a few miles of our church who are currently rejecting Jesus Christ. What do we believe will happen to them if they persist in unbelief and reject Christ’s free gift of salvation? If we refuse to share the gospel with them—either out of of fear, indifference, or benign neglect—aren’t we saying through our actions that we’re O.K. with the fire of God’s judgment falling on them—if not right away, then at least in the distant future? Let’s pray that the Lord will send laborers into the harvest in our community. 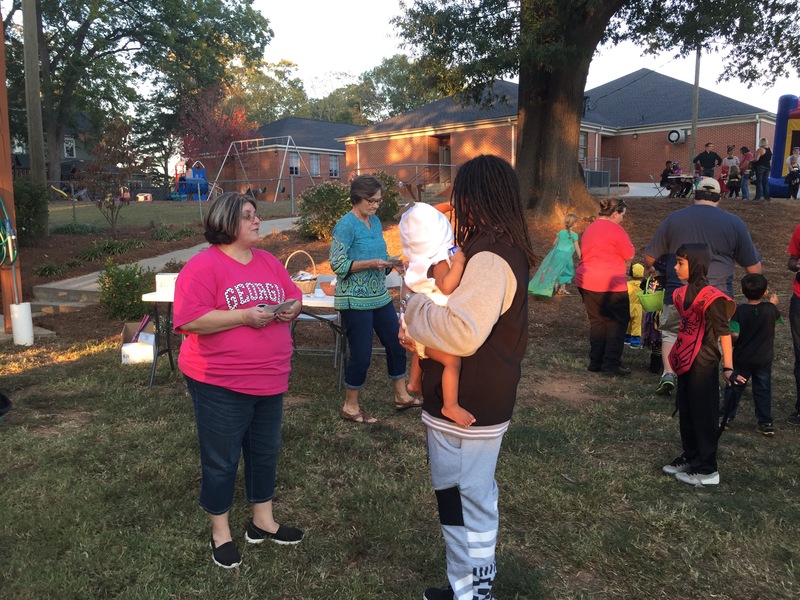 When I last blogged about witnessing, by the way, I said that I was recruiting a “Witness Team” from our church to share the gospel, hand out tracts and Gospels of John, and pray with people at our annual Trunk or Treat event. I’m pleased to say that it was very successful: we shared the gospel with dozens of visitors who came to the festival. A couple of members of our Witness Teach sharing the gospel with visitors to our annual Trunk or Treat. We will continue this effort at the beginning of December at our annual live nativity. “Everything else”? Good heavens, what’s left? 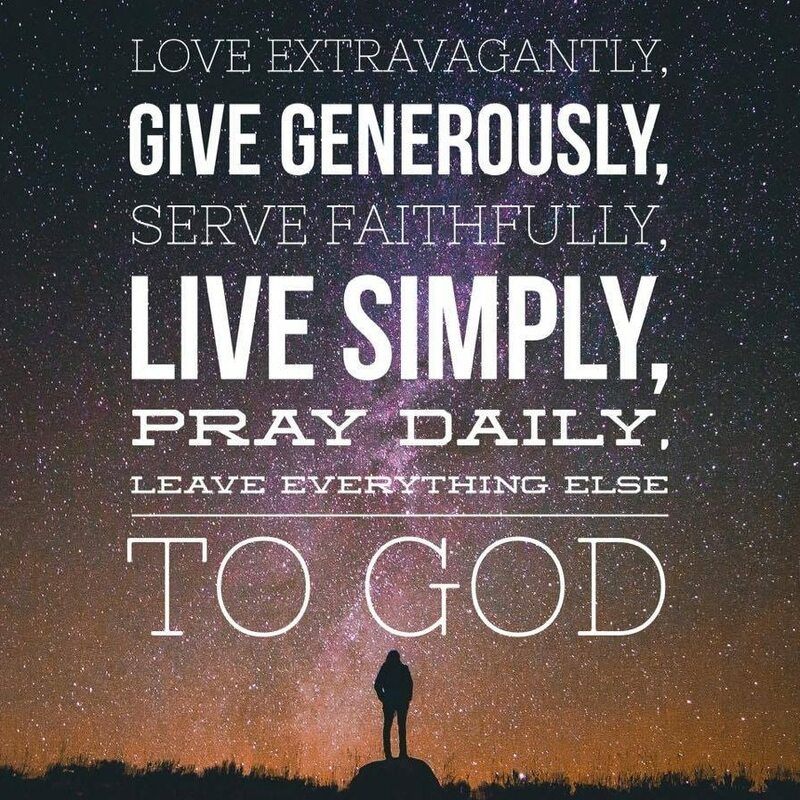 My point is, apart from the God to whom we “leave everything else,” how do we do any of these things? This meme exemplifies the Pelagian tendency within United Methodism writ large. This is why the message of my previous post about the gospel’s being good news rather than good advice is sorely needed: Christ has done for us what we can’t do for ourselves. If that’s not our starting point, we will make ourselves miserable—or at least difficult to live with. My prescription? Read Romans 7, stat! It’s that time of year again: when I read something new related to Advent and Christmas to inspire me for the upcoming season—especially in preparation for all the sermons and devotionals I’ll need to create. 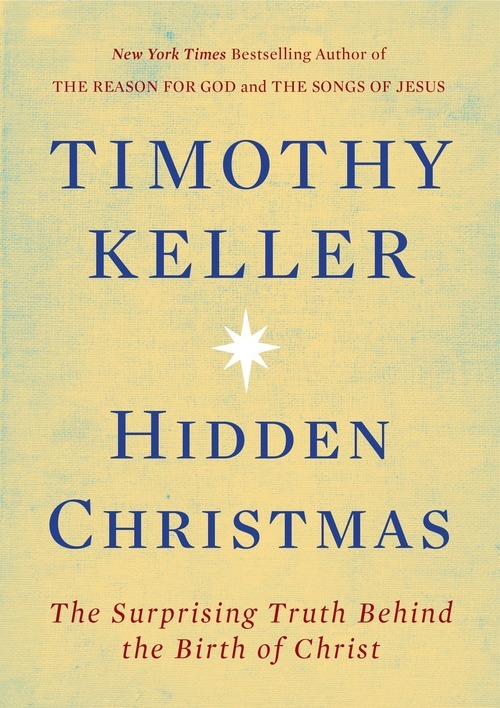 This year it’s Timothy Keller’s new little book, Hidden Christmas. Halfway in, it’s excellent. I would argue that other religions and many churches, when they talk about salvation, understand it and proclaim it as advice. Salvation is something you have to wrestle and struggle for, you have to perform. It comes only if you pray, obey, or transform your consciousness. But the Christian Gospel is different. The founders of the great religions say, in one way or another, “I am here to show you the way to spiritual reality. Do all this.” That’s advice. Jesus Christ, the founder of Christianity, comes and says, “I am spiritual reality itself. You could never come up to me and, therefore, I had to come down to you.” That’s news. The distinction, Keller says, between Christmas as news, versus Christmas as advice, “changes everything.” What does it change for you? 1. Timothy Keller, Hidden Christmas (New York: Viking, 2016), 21-2. While I was in Chicago last month at the inaugural Wesleyan Covenant Association meeting, I browsed a vendor’s table set up by Seedbed, the publishing arm of Asbury Seminary, Methodism’s premier orthodox, evangelical seminary. An attractive series of paperbacks caught my eye: “The John Wesley Collection.” They include essential writings of John Wesley, alongside Wesley’s revisions of other writings that he believed would edify fellow Methodists. 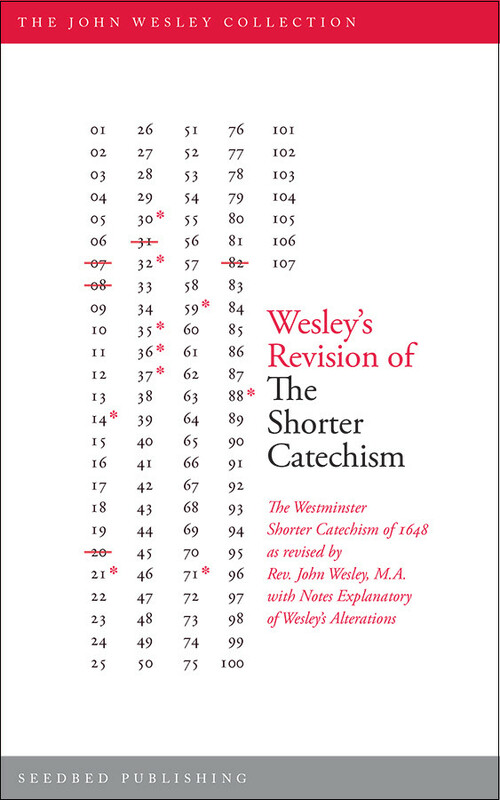 One of these books, which I purchased, was Wesley’s Revision of The Shorter Catechism, literally a revision of the Westminster Shorter Catechism of 1648. As far as I knew from my unorthodox, un-evangelical mainline Protestant seminary education, the Westminster Catechism wasn’t for us Wesleyan Arminians; it was for the Reformed—Presbyterians and the like. I never knew, prior to purchasing this book, that Wesley had any use for it. The book contains not only the catechism with Wesley’s revisions and scripture proof-texts, but also James A. Macdonald’s century-old commentary on it. Without this commentary, of course, the revision would hardly be book-length! Wesley’s proof-texts in the margin are 1 Corinthians 10:31, Romans 11:36, and Psalm 73:25-28. Out of the gate, these words challenge and convict me. Not only are we to glorify God, this is the main thing that we human beings are supposed to do. God has created us to give him glory. We can glorify God whether we think about doing so or not, which is good because—in my experience as a Methodist—most of us spend little time thinking about it. Why? You get the idea: If God were as “virtuous” as we are, he wouldn’t need us to glorify him. And thus—as we too often do with doctrines related to God’s wrath, blood atonement, and hell—we allow ourselves to feel, however faintly, morally superior to the biblical authors. If the first article of the Shorter Catechism is true, so is Piper’s maxim. Here’s one Methodist pastor who isn’t ashamed to say so. James Macdonald’s commentary also relates our Wesleyan understanding of sanctification and perfection to this article. I’ll say more about that in a future post.